After the countless leaks and rumors, the Nexus 5X is finally official. LG’s long-awaited successor to the Nexus 5 improves upon the fan favorite from two years ago. The 5X is slightly cheaper and less powerful compared to the Nexus 6P. The Nexus 5X has a 5.2-inch 1080p display. It’s powered by the familiar Qualcomm Snapdragon 808 processor. On the back is a 12.3MP camera that Google says is especially good at indoor photos. The back is also home to a fingerprint sensor, which is used for a feature called “Nexus Imprint.” It’s basically the way you’d expect a fingerprint sensor to work, but Google says it gets better over time. 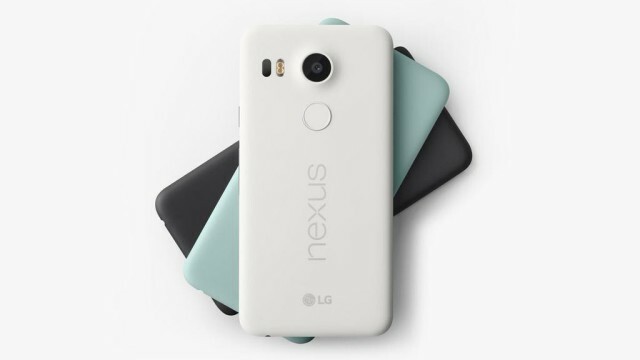 The Nexus 5X will be available for pre-order today from the Google Store. It will start at $379. You’ll be able to get your hands on it later in October, and it will work on all major US carriers (including Project Fi). It will also come with 90 days of Google Play Music All Access, a $50 Google Play credit, and optional Nexus Protect protection plan.